I’ve been having a lot of fun with my nails lately – and am quite fond of my new found love of fun funky patterns/colors. 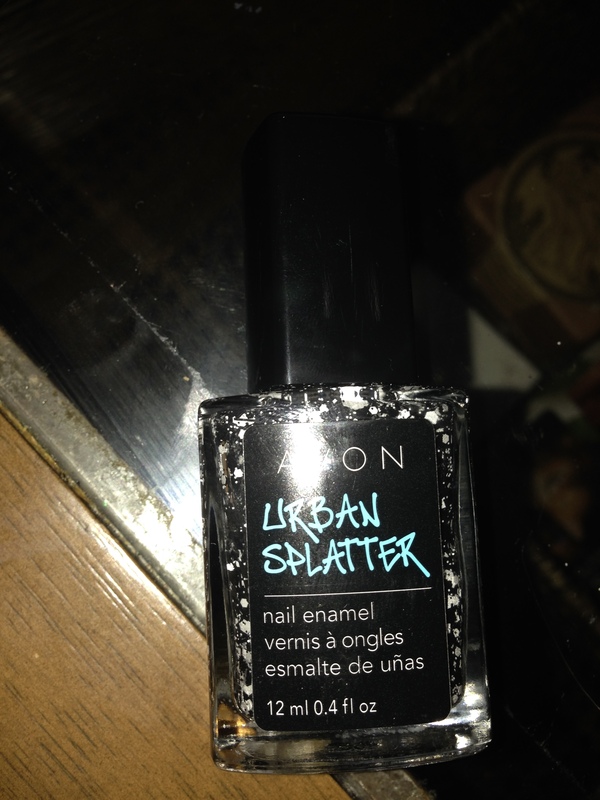 I guess that’s why my work colleague gave me her Avon Urban Splatter Nail Enamel (no longer available). 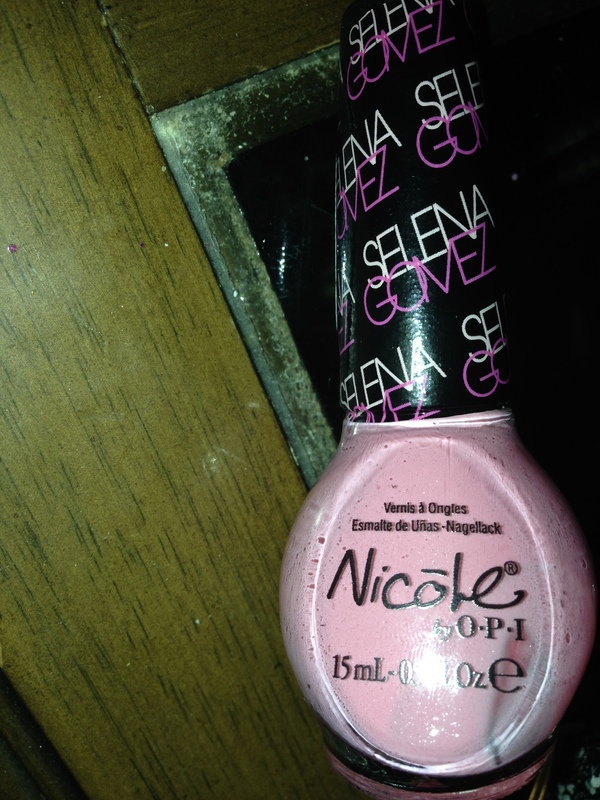 I used the light pink Nicole by OPI (Selena Gomez) that I’d received in a gift bag as my based. It took about 2-3 coats of the urban splatter to get the look I was going for. It’s a bit of pain because it’s best to let it dry before adding the additional coats-otherwise you’re just moving the patterns around. It’s a fun way to decorate your nails. I know that it’s no longer available but there are a lot of similar products out there and I’m sure are pretty much the same. So if you’re looking to add a little edge to your look this is a pretty easy way to do so. 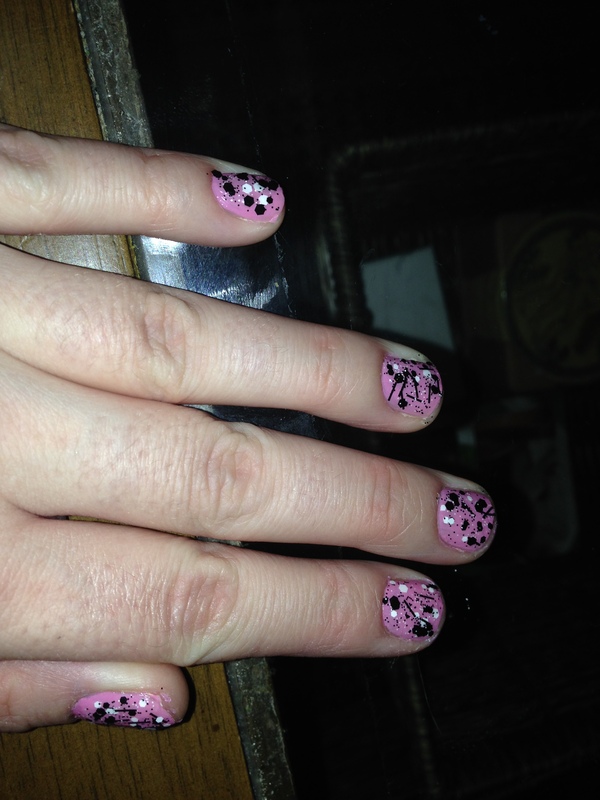 This entry was posted in Beauty and tagged Avon, enamel, fun, funky, nails, splatter, urban by maldham. Bookmark the permalink.